Chapman This card saw play in a few builds of green stompy decks, and it still sees that play today if one were to build such a deck. The amount of blue in the environment might be a major drawback for this card though. In Limited, this again is a card that while being good, just isn't big enough to cause much havoc. 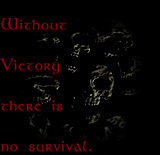 Play it if you get it, but don't go all out for it. Watson This guy was only good in constructed when blue wasn't the favored color. If there was lots of blue in your metagame he was pretty worthless. It's sorta like Savannah Lions retarded half brother. I would imagine in limited that he would be one of your last few pics. Peatross Back in the day, this was a sucky 2/1 for G. Combined with Winter Orb, its rather naughty. If printed today, it would be fairly horrible. Limited I think I'd not draft these highly at all. A 2 in both formats. This card wouldn't be printed today, because there's too much understanding of card advantage. 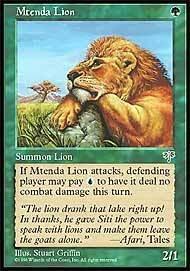 This card, when played against a non blue player, is simply a Savannah Lions. That's a problem, and that makes this card unfair in many ways. However, it's more than balanced by the fact that this card would never get played today, simply because there are too many blue players in every field. Kitty Ranking: Sad, unused, unloved kitty. Turpish 2/1 for 1 is great, I think we've already established that. Unfortunately, preventing its combat damage for a small investment of mana is exactly what a blue opponent would want to do. This guy is great in any field not dominated by blue. Although this was a solid creature, I don't remember it getting a lot of play when it was T2 legal. Maybe the abundance of blue decks just rendered it ineffective. I think it would get played today and be a decent 1 drop. In Limited it would also be decent for early beats and would be played.